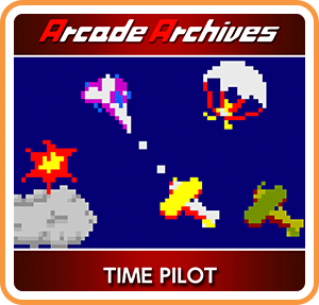 TIME PILOT is a shooting game released by KONAMI in 1982. Transport five generations into the future and shoot down enemy ships with a full 360º of motion. Rescue parachuters and take out entire enemy formations to earn a high score! Fly into a battle beyond time and space!